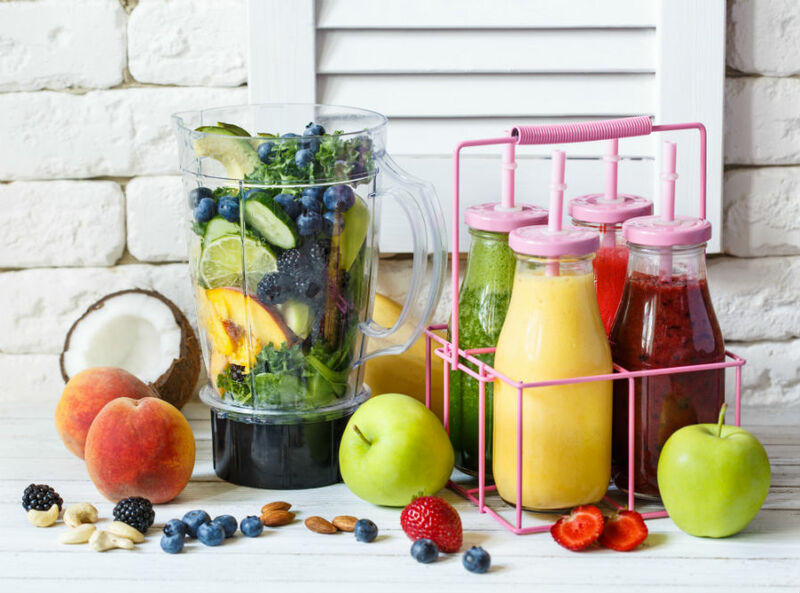 Chances are if you already own a Nutribullet that you’ve been enjoying experimenting, creating lots of delicious, fresh and nutritious blended smoothies and shakes for all the family to enjoy. Have you secretly also been thinking about making a frozen margarita in your Nutribullet too? 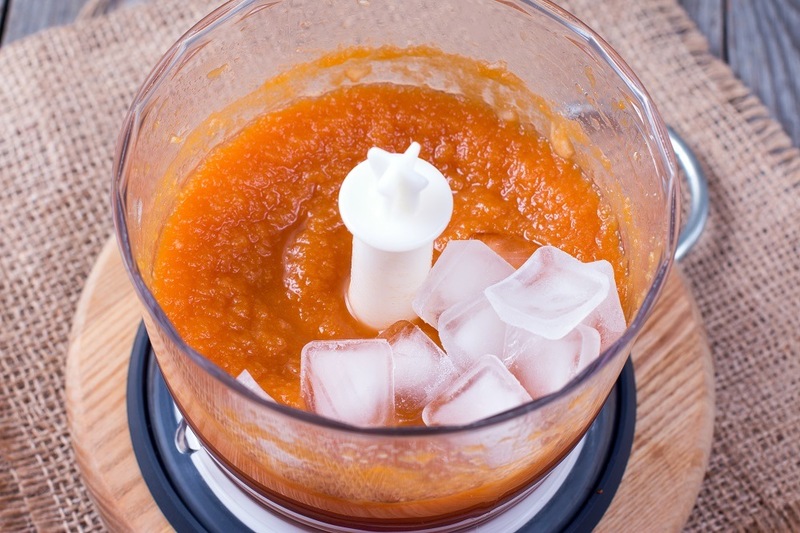 You wouldn’t be the first person to consider using their bullet blender to prepare cocktails and mocktails and not just smoothies. 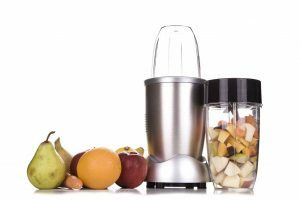 After all, your blender does have powerful blades and is perfect for whipping up lots of delicious drinks so surely you can put ice in a Nutribullet right? The Nutribullet might be small in size, but it’s known for being big on power, so just how effective is it at dealing with ice? 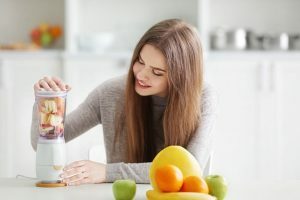 Essentially, the Nutribullet has been designed, unlike a larger traditional blender, to quickly and efficiently blend up mostly fruits and vegetables at high speed to create that favorite family drink, the smoothie. 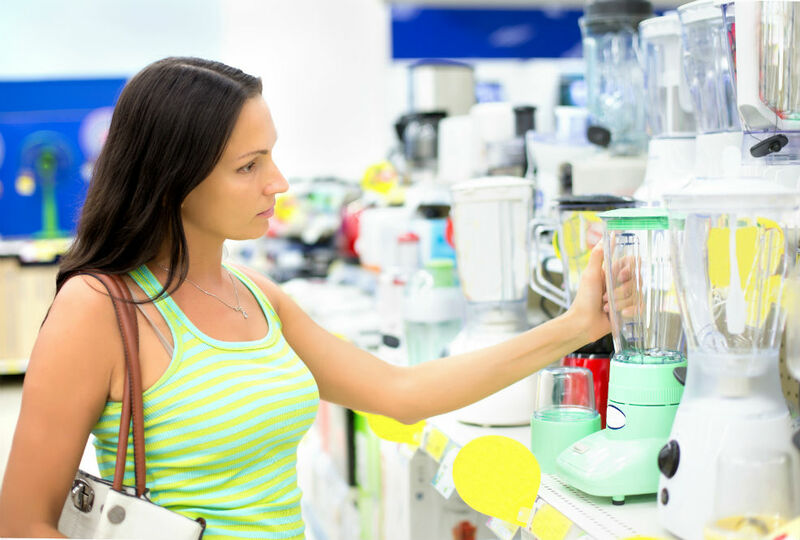 Countertop blenders have much bigger and more powerful motors than the versatile and portable style of the Nutribullet series of blenders, so they are better equipped at creating a more diverse range of blended foods and drinks including soups, sauces, salsas, baby food as well as the popular smoothie. 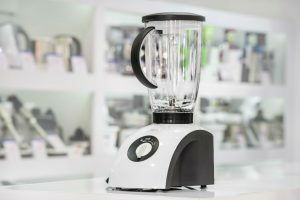 It’s not uncommon for the bigger blenders to have a series of different power settings, including ones which are specifically designed to tackle and crush ice. Is that the case though with a Nutribullet? Do they have the capacity to crush ice so that you can create even more refreshingly cold beverages in the hot summer months? Well, the simple answer is yes you can, and lots of families love this functionality. However, please note that it’s not been explicitly designed with this function in mind so the purists out there would answer no. 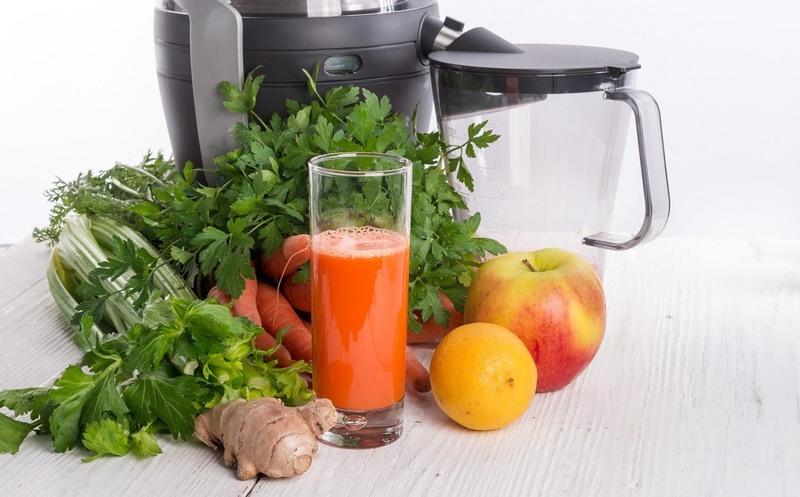 Strictly speaking, you can’t crush ice in a Nutribullet, but it’s certainly been designed to be powerful enough to take a small number of ice cubes, say 3-4 only, along with your chosen fruit and vegetables and base liquid to make a delicious and refreshing cold blended smoothie. A better option, rather than using solid ice cubes which the blade might struggle with is to put mixed frozen fruits into the Nutribullet; that way, the blades can work more efficiently, blending up the contents inside the cup with the frozen nature of the fruits ensuring that the final smoothie produced is cool and refreshing. What if I Want to Use Ice Cubes? If it’s one of those hot summer days where only a super cool smoothie for the kids will do, ice can be used. However, the trick is to absolutely ensure that you have enough liquid in your cup versus ice and fruit and vegetable content, to ensure that the frozen element floats so that the blades won’t get jammed. You don’t want the blades to overheat trying to blend something that they’ve not really been designed to accommodate. Also, make sure that you don’t overfill the container and that you’ve twisted the base firmly and securely onto the cup so that you don’t run the risk of any liquid leaking out and trickling down into the motor area where it could cause a hazard. What Exactly Does Nutribullet Have to Say on the Subject? There’s a vast community fan base for all the latest Nutribullet models and accessories and families certainly seem to love sharing their favorite recipes and ideas for creating fun and tasty smoothies that get plenty of essential vitamins and minerals into their kids. 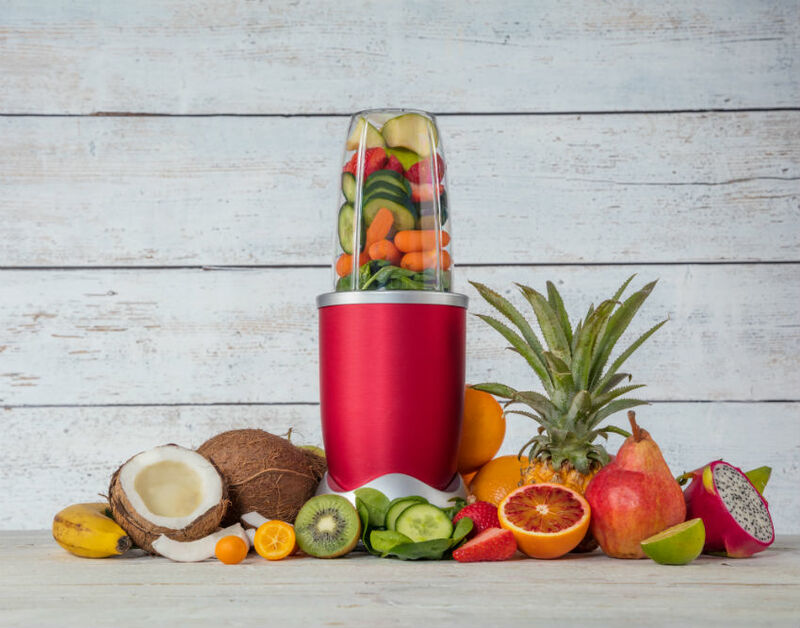 That’s one of the beauties of these bullet-style blenders after all – that you can quickly throw in a handful of those 5-a-day colorful fruit and veggies for a nutritious and healthy power-packed drink that delivers high on the goodness factor. Can you safely throw in ice cubes though and expect to get good results? Well, according to the online resource center for Nutribullet owners, NutriLiving, the answer is yes. 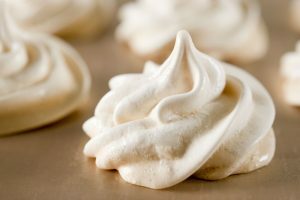 Their recommendation is that you use no more than 3-4 ices cubes added to the rest of your ingredients in a blast to make it nice and cold and thick along with your liquid. 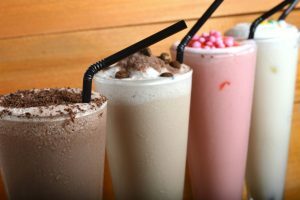 Water is probably the most obvious choice, but if you want something more substantial, a dairy substitute milk product like almond, coconut or soya milk can add lots of extra flavor and texture to your smoothies. These popular dairy-free alternatives blend really nicely with your favorite fruits and just a few small ice cubes to give your drinking that refreshing edge. Here’s another great tip that we picked up from the Nutribullet community. If you fancy a more refreshing version of your usual favorite smoothie, trying using frozen fruits instead of fresh ones, or how about freezing some coconut water in your ice cube trays and adding just 2-3 cubes the next time you want to blend up something a bit more exotic tasting? The most important point to note is that if you are using ice cubes to deliver a thicker consistency and nice chilled effect to your beverage, ensure that you have plenty of liquid and that the ice or frozen fruit content constitutes no more than 25% overall of the contents of your Nutribullet cup. 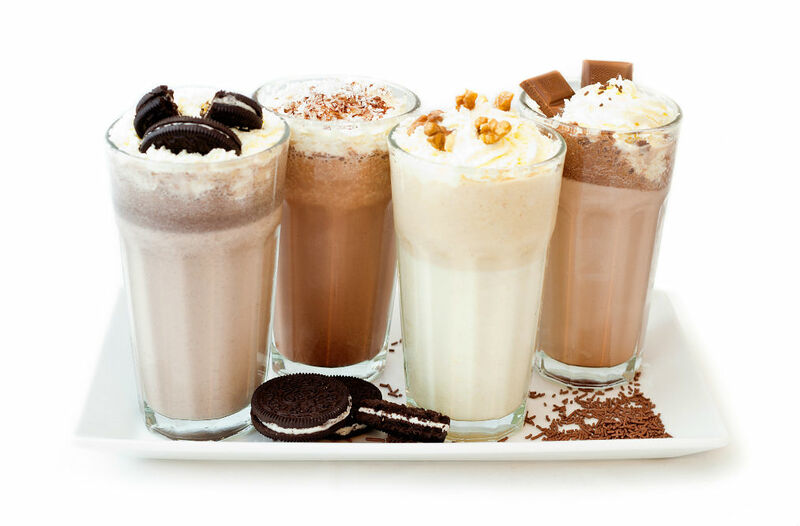 Crushed ice will work better than solid ice cubes, and very chilled liquids can also achieve the same desired effect. The downside of regularly using ice inside your Nutribullet is that those blades are going to have to work even harder than usual, and with prolonged use could end up getting damaged and dulling sooner than their typical life expectancy. It’s a good idea to routinely check your blades to make sure that they are still in good working order. If you are ever in doubt about the best practices of how to use your Nutribullet, refer to your comprehensive manufacturer’s handbook or their website which is packed with plenty of useful FAQ’s on all things Nutribullet related.